Welcome! Thank you for checking in on the NCFA website. Keep checking in regularly for blog posts and the most up to date information about Santa Rosa's premier Mixed Martial Arts academy, the longest running Gracie Jiu jitsu gym in Sonoma County and the FIRST ever all no-gi academy in the United States. 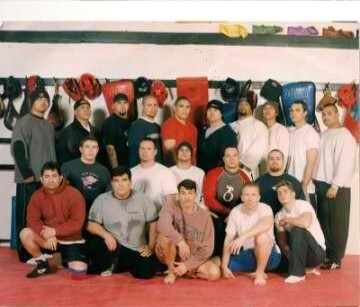 We are proud to provide Northern California with the best, most effective martial art in the world! We are excited to share our thoughts and experience’s on this blog with you all! Feel free to share your thoughts as well. Our dedication and the amount of time that we put into our members is only a small part of what we do. We hope to provide you all with a safe, comfortable, family friendly atmosphere you can share with the entire family. With all that being said and done, I want to explain the blurry [old] yes, I said old photo I posted for my FIRST blog. That picture was the FIRST academy group photo. Where it a started, and where we became a TEAM. I look at the photo and feel so proud of my team and where we have come. April marks 15 YEARS as NCFA and I couldn’t be more proud and happy to be a part of something great. Thank you all for an amazing journey that feels like this picture was taken yesterday!